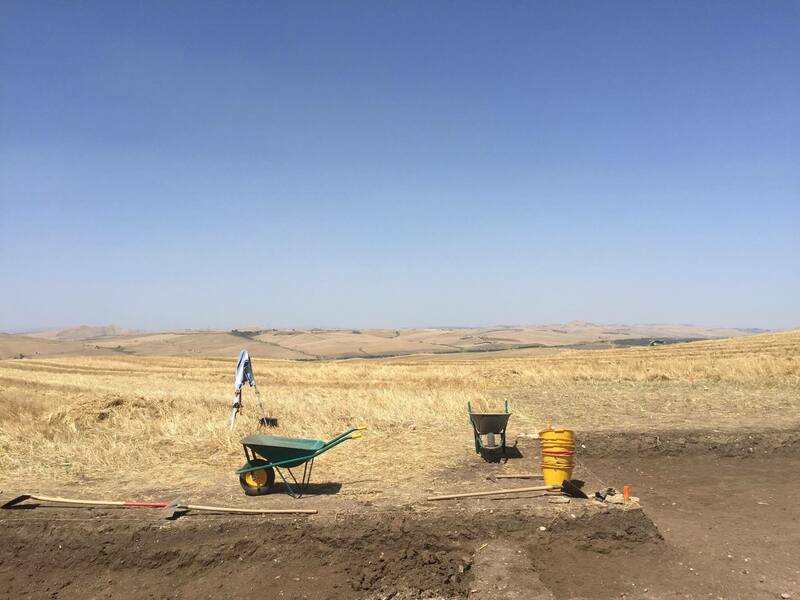 The site is located about 15 minutes outside of Gravina in southern Italy. It’s called Vagnari and it’s a second century Roman cemetery located in a field surround by rolling hills. The primary person and leader of the dig is Doctor Tracy Prowse from McMasters University in Ontario. 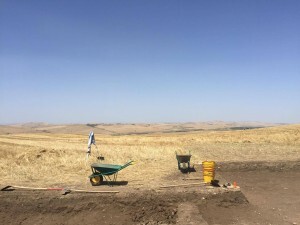 We opened two trenches, one that is completely new and another that’s half and half because they weren’t able to excavate some of the burials last year. So far we have around seven burials that have been uncovered. We just got down to layer where we can trowel away the burials which is about 35-45 cms down. I’ve learned that archaeology is a lot different here than it is in states. For example, we don’t sift every bit of dirt and for a majority of the dig we used pick axes and shovels. We also just ignore and throw away Roman tile, which would be the sort of thing we would document in American field school. I think the most challenging thing was adapting to the trench style digging and generally different style of archaeology. But it was only a little bit of a learning curve and I quickly adapted to learning how to pick away the dirt rather then slowly trowel it away. This entry was posted in Field School, Fieldwork, Training.